If you are a group of 6 or more please contact us for availability for setting up a second tour on this date. Hotel choices are very good, lots of character, the meals were superb! Henry and David, the guides, were great – key to the great experience. The cycling ranges from easy on some days to moderate on others, but should be comfortably achievable for anyone of reasonable fitness. The mention of the word ‘Burgundy’ — Bourgogne to the French — conjures up many images. To some, the first thing that springs to mind is wine, from the crisp whites of Chablis and Montrachet to the prestigious reds of the Côte D’Or — Nuits-St-George, Pommard, Aloxe-Corton and Vosne-Romanée being but a few. And do not forget Kir, the traditional aperitif of Burgundy, made from Cassis blackcurrant liqueur from Dijon and Bourgogne Aligote white wine. 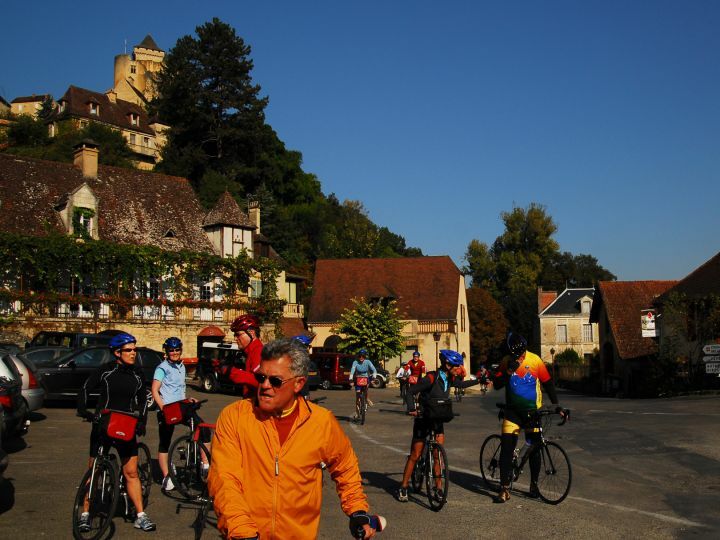 Others will think of food — boeuf bourguinon, burgundy snails, Dijon mustard are just some of the speciailities ripe for discovery by gourmets, and our bike tour will give you a hearty appetite to make the most of these delights. The countryside encompasses the rolling hills of the Mâconais and Chalonais in the south; the wild Morvan plateau to the north-west; and of course the steepsided côtes of the prestigious wine districts around Beaune. The countryside is criss-crossed with canals, tiny lanes and bikepaths, and the scenery is divided between perfectly tended vinyards, fields of wheat, maize and sunflowers, and the forests used for making the prized french oak wine barrels. Many rivers and streams spring from the plateau and feed the Seine to the north and the Saone and Rhone to the south, and many of which have been dammed to provide the area with many lakes. Man has also had an impact with the creation of a network of canals across the region, many of which provide cycling opportunities along their towpaths. Burgundy has more than its fair share of man made glories, dating from the 8C BC when Celts invaded from what is present day Austria. Incorporated into the Roman empire in the 1st century, the Gallo-Roman civilisation expanded and left its mark on the landscape. The first Christian churches were built as early as the 4th century. Magnificent abbeys were founded at Cluny and Vézelay in the 10th C, and in the later middle ages cathedrals sprang up at Auxerre, Autun and Dijon. 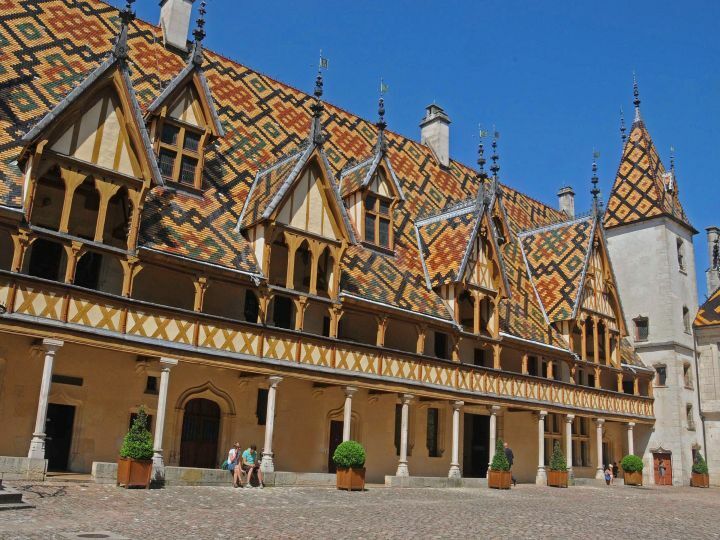 The burgeoning wine trade resulted in superb architecture for the wealthy merchants who built stunning houses and public buildings in Beaune, Auxerre, Dijon and Autun. 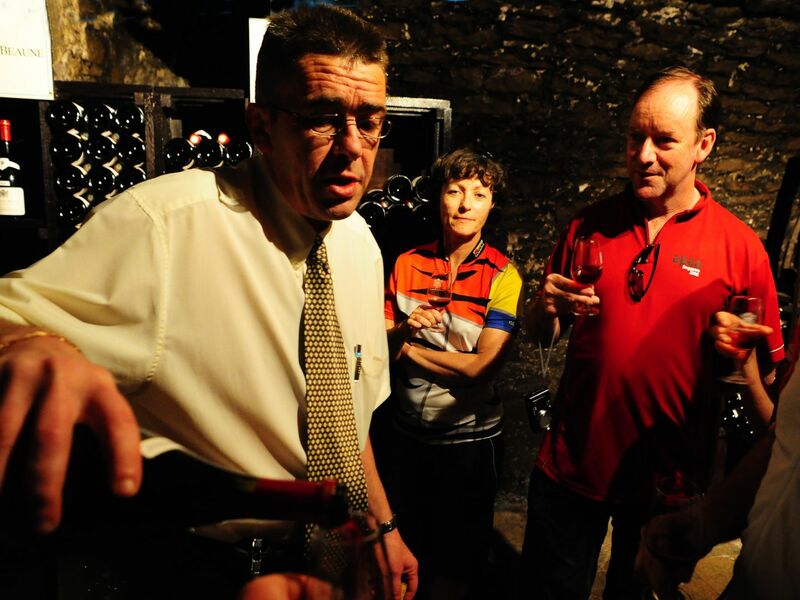 To view a map of the Burgundy tour route click here. We transfer from the TGV station in Mâcon to our hotel in nearby Igé. After introductions and setting up the bikes, there will be a short ride around the Mâcconais vineyards to get a taste of the terrain in the week to come. We return to the hotel for a rest or a dip in the pool followed by the first of many leisurely sumptuous dinners to fortify us for the road ahead. Today we head north through the undulating landscape of the Mâconnais. 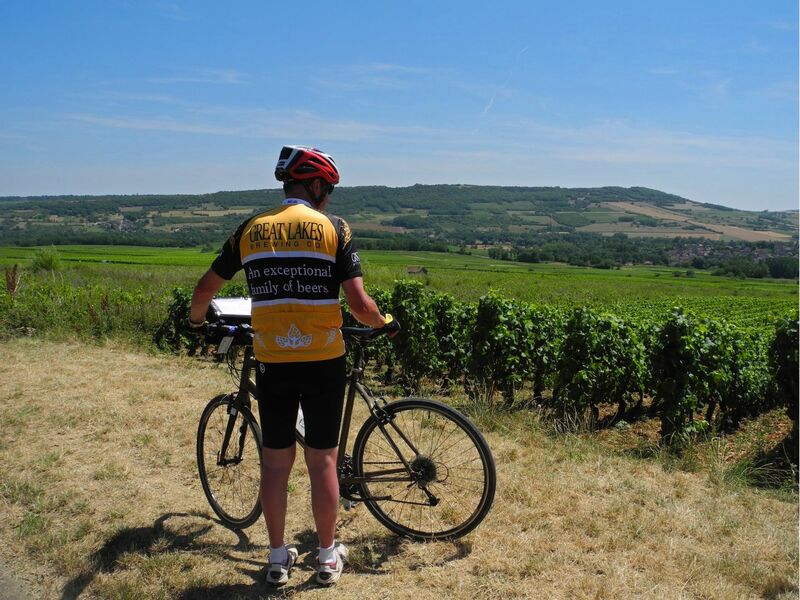 We are riding through the vines that produce the grapes to make the celebrated Pouilly-Fuissé white wine. We take a dedicated cycle track to reach the Abbaye of Cluny. Cluny was founded in 910 AD and was the most important monastic order of Europe; at its height the Abbaye sent out 10,000 monks across all of Europe to do God's work. The vaults of the Abbaye Church are the highest in Romanesque architecture at 30m (100ft) high. We then wind our way round the wooded Mâconnais hills through picturesque villages each with its ancient church before arriving back at the River Sâone in the medieval city of Tournus. The charming town has a magnificent Abbey Church, and a preserved 17th Century hospital. Our hotel has been converted from a guardhouse built in the city ramparts, and here we will eat a dinner accompanied by the Maconnais wines as a reward for the efforts of the day. Ride notes: Rolling until we reach the converted railway. Mainly flat on the converted railway line to Cluny (watch out for the tunnel!) After lunch moderate steady height gain to Brancion (120m vertical over 4km) followed by descent and another short climb, finally descending into Tournus. Today we leave the Mâconnais region and enter the Challonnaise wine region. We recross the foothills of the Montagnes Mâconnais, stopping off at the restored medieval village of Brancion and descend to see the 12th Century Château de Sercy in its beautiful lakeside setting.We rejoin the Voie Verte cycle path which takes us to the village of Buxy, home to the wines of Montagny. 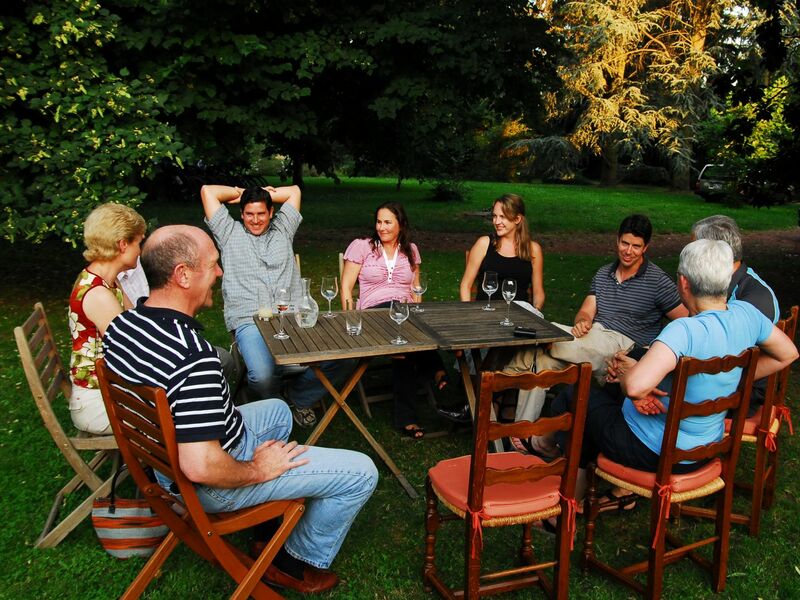 Depending on the weather or our fancy, a picnic lunch or a stop at a café in the village is followed by a tasting at one of the local co operative wineries. We are now entering the heartland of prestigious Burgundy wines, and the next few villages rejoice in names to set a wine enthusiast's heart beating a little faster — Givry and Mercurey are signposts that we are in the land of Pinot Noir. A few more kilometers brings us to Rully where our hotel awaits. The town has its own prestigious appellation and at this evenings meal, we will have a dedicated sommelier present wines to us that are perfectly paired with each course. Another splendid supper is to be had at the hotel! Ride notes: Steady climb to Brancion (170m vertical over 8 km) then fast descent; after Sercy onto converted railway, predominantly flat. We start out today riding along the Canal du Centre. The Canal du Centre, one of the technical wonders of its times, was built by the engineer Gauthey concurrently with the Canal de Bourgogne. Started in 1784, it was inaugurated in 1793, 40 years before the Canal de Bourgogne was completed, and was the first link between the Loire (leading to the Seine through the Canal de Briare) and the Saône. 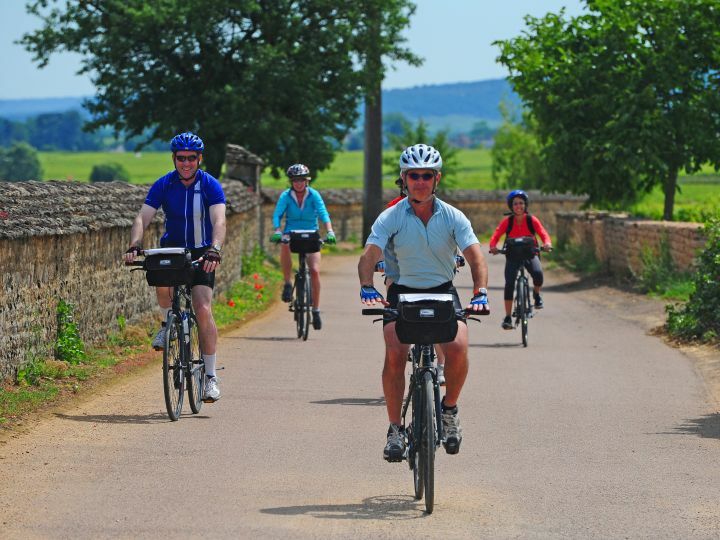 We come off the canal and have a spectacular ride through the Hautes- Cotes de Beaune vineyards. 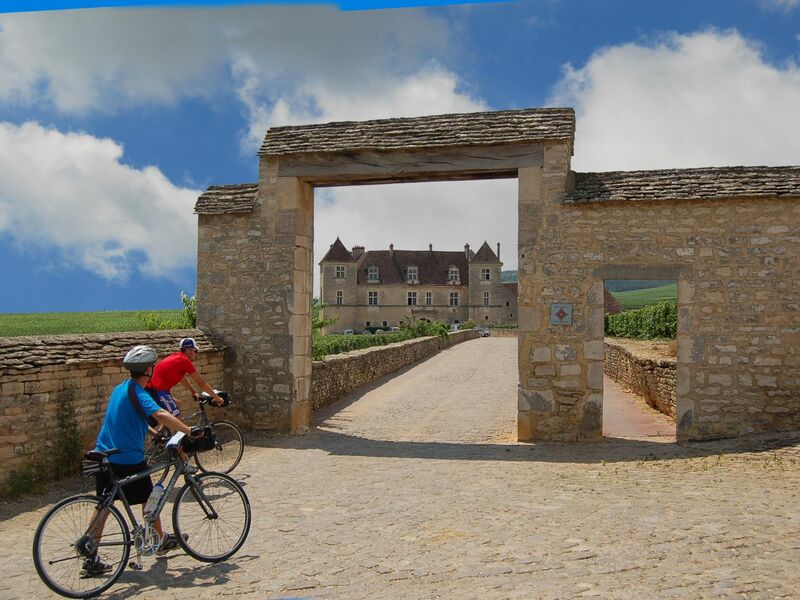 Our road then descends through Santenay, with a selections of restaurants for lunch, or ideally a picnic amongst the vines. From there the road continues through prestigious Chassagne-Montrachet before arriving at the Chateau de Mersault where we stop to sample a selection of wines from the neighbouring vineyards. We are staying for two nights in Beaune so we can take our time to visit this wonderful town with all it has to offer. Tonight we dine at our hotel in the heart of the town. Ride notes: The first section is flat as we cycle along canal towpaths. 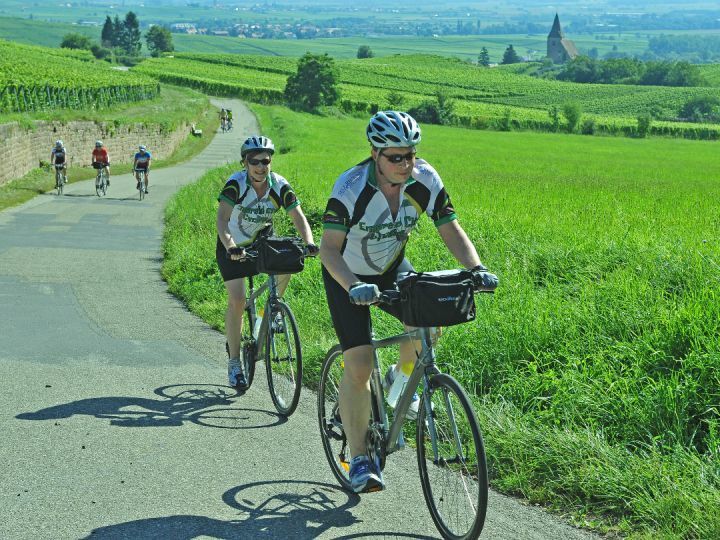 There is rolling terrain to Santenay afterwards downhill and flat to Beaune. A morning off the bike can be spent in Beaune, with a not to be missed visit to the Hotel-Dieu ancient hospital, a marvel of Burgundian-Flemish art that houses another Flemish masterpiece: Roger van der Weyden's Polyptych of the Last Judgement. The glazed polychrome tiles that adorn the roof of the Hotel-Dieu are nothing short of spectacular. 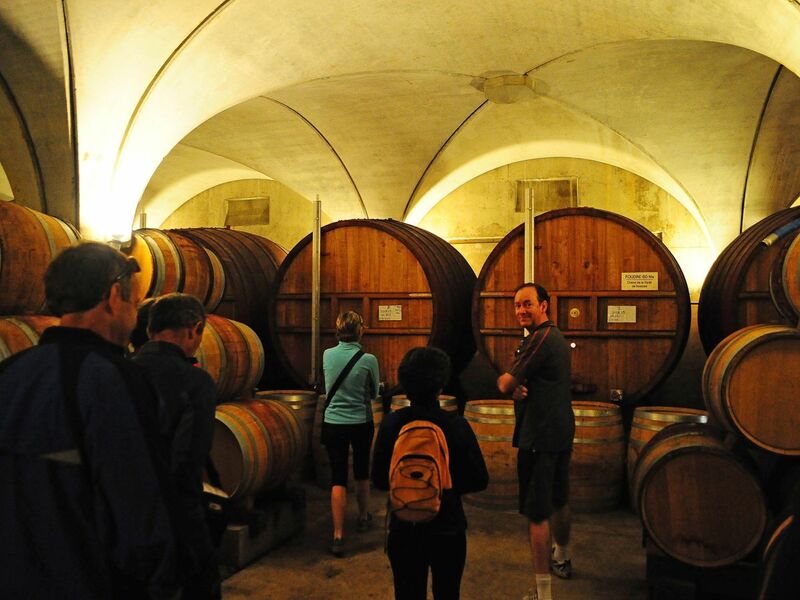 Depending on the time of year, the afternoon offers a shorter ride to Santenay for a tasting and a fascinating visit to the cellars at the Chateau de Santenay or a ride to Pommard to the Chateau de Pommard. Either options offers a wonderful tour and tasting experience. Tonight we go out on the town to a local restaurant. After dinner a stroll through the streets to admire Beaunes "Trail of Light" - Buildings lit up with stories of their history. Ride notes: Gently undulating to Santenay and back to Beaune. Our last day of cycling is an easy one. We head north to Savigny-les-Beaune, before continuing through the vineyards of Aloxe-Corton, (which produced Voltaire’s favourite red) to Nuits-St-Georges. This, the chief village of the wine-producing region which bears its name, has many medieval buildings and makes a great place to stop for coffee or lunch. The same soil and climate that produce the wines of Burgundy are also the home to the blackcurrants which in this area are exploding with flavour. Thus we find this home to the delicious Super Cassis! Initially used as both a cure for jaundice and to soften and aromatise the Aligote wines (once viewed as the poor cousin to the more elegant chardonnay based whites). In the mid 19th century blackcurrants became an important crop to many vineyards that were affected by the phylloxera infestation. It was the mayor of Dijon, Canon Kir, who later made crème de cassis a more prestigious liquor by serving it at all his government functions with the local white wine thus giving the name to the now well known cocktail the “Kir” or “Kir Royale”. Today we will get a chance to taste this fabulous cassis and perhaps buy a bottle to take home and savour. A short ride brings us to our hotel, the Chateau de Saulon where we simply unwind by the pool before our final celebration meal. Ride notes: Moderate climb out of Beaune to hillside above Aloxe Corton (170m over 10km) Then fast descent into Nuits St-Georges. Rest of the day is flat. After breakfast, we transfer to Dijon for our onward journeys with memories of a wonderful week of cycling and new friends made. You may like to book an additional night in Dijon to see its many sights and museums — and sample its gastronomic delights. All meals include a starter, main course and dessert, some will have an additional cheese course. We are happy to arrange for our restaurants to cater for specific dietary requirements and allergies etc. We provide lightweight alloy framed Trek ‘hybrid’ touring bicycles with 27 indexed gears, fully equipped with lock, pump and toolkit (although our guides will generally be on hand to fix punctures and minor mechanical problems). For carrying the items you might need during the day (camera, wallet, windbreaker etc.) we fit a capacious handlebar bag which also features a large map pocket. These clip on and off the bike in a flash so that you can always take your valuables with you when off the bike. The bikes are meticulously maintained and we keep a wide range of sizes; female specific saddles are also available. We do not provide helmets automatically, as we find people prefer their own if they want to wear one, and sizing and fit is quite personal; however we always have helmets available for use. We also carry rain-capes should they be required (but hopefully not!). For certain tours we also have available 27 speed drop-handlebar race-style bikes, and tandems may also be available on certain tours by special request. We hire these locally, and charge on the additional cost. For nearly all of our tours an e-bike - electrically assisted bicycle - is an extra-cost option. These bikes apply a 'multiplier' to the level of input provided by the rider, the level of assistance can be adjusted for the terrain. This can be useful if there are members of your party have very different levels of bike-fitness and experience, as hills that look daunting suddenly become easy with an e-bike. This 19th Century country house was turned into a hotel 50 years ago; it has since gained 4 star status. The spacious grounds include a huge swimming pool and the hotel also has a top-notch restaurant. The former city guardhouse dating from the 15th Century is now a luxury 4 star hotel with a gourmet restaurant ideally placed for exploring the medieval town. Dating back to the 19th century, it remains authentic with stylish furniture, underground cellars and an amazing chapel on site. 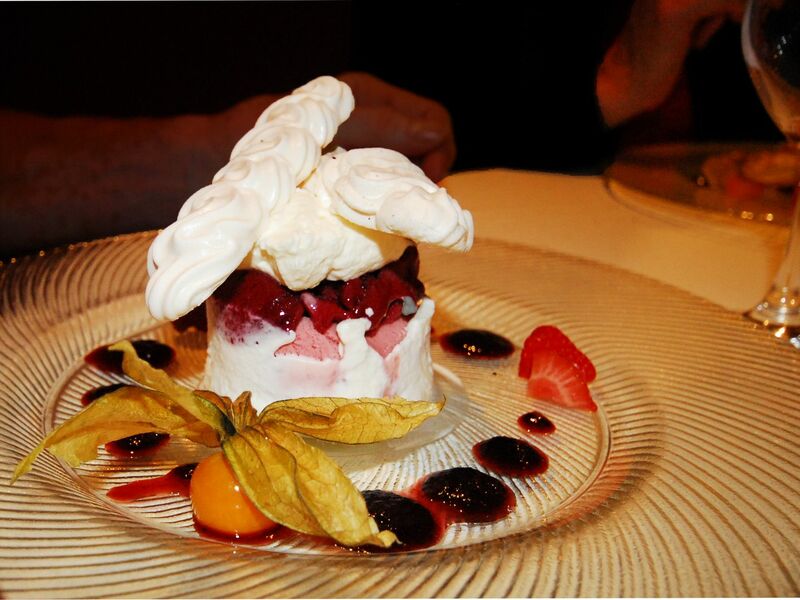 Dinner is no less than spectacular a true burgundian dining experience. The Poste is a former 17th Century coaching in which as the name suggests was once a staging post for the mail service where horses would be changed and weary travellers refreshed. Now a 4* hotel, ideally placed for visiting the fascinating town of Beaune, the Poste has an elegant piano bar as well as a relaxing courtyard garden and a wonderful restaurant. 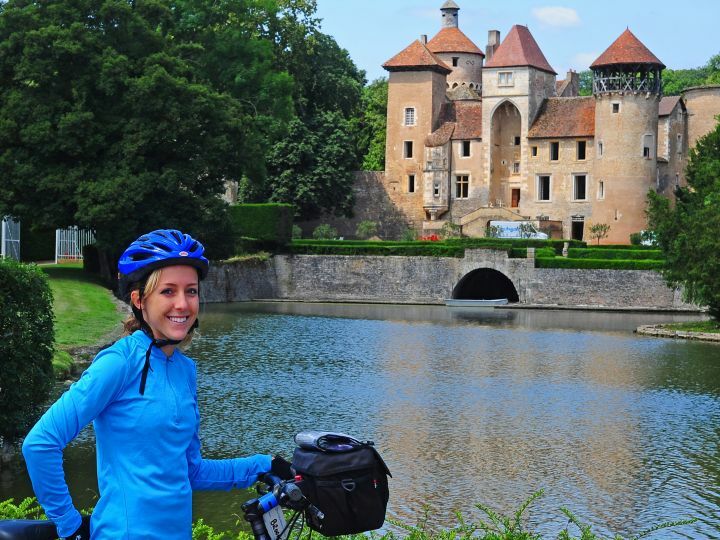 Another 17th Century Château set in 40 hectares of private parkland with a superb circular swimming pool, the Chateau de Saulon is the perfect setting to end your cycling trip. The restaurant is set in the elegant former orangerie of the château, and on summer evenings dining on the terrace as the sun sets over the park is an unforgettable experience. The Grand Hôtel La Cloche, MGallery By Sofitel is located in downtown Dijon. Come and discover its 83 rooms and 5 suites, its gourmet restaurant Les Jardins by La Cloche and its sophisticated and modern Bar by La Cloche. Relax in the luxurious Spa by La C loche nestled under old stone vaulted ceilings and featuring Carita products and Vinésime cosmetics straight from Burgundy. The hotel was renovated in 2016 and is now one of Burgundy's most majestic locations. Margaret, New South Wales, Australia. Diane and Tom, Connecticut, USA. Al and Karen, Ontario, Canada. Harald & Karin, Fiellhamar, Norway. Melinda & Justin, Currumbin, Queensland, Australia.